Aoi Art's archives, Every item is no longer available. Blade length : 64.7 cm or 25.47 inches. Sori : 2.3 cm or 0.90 inches. Width at the hamachi : 2.83 cm or 1.11 inches. 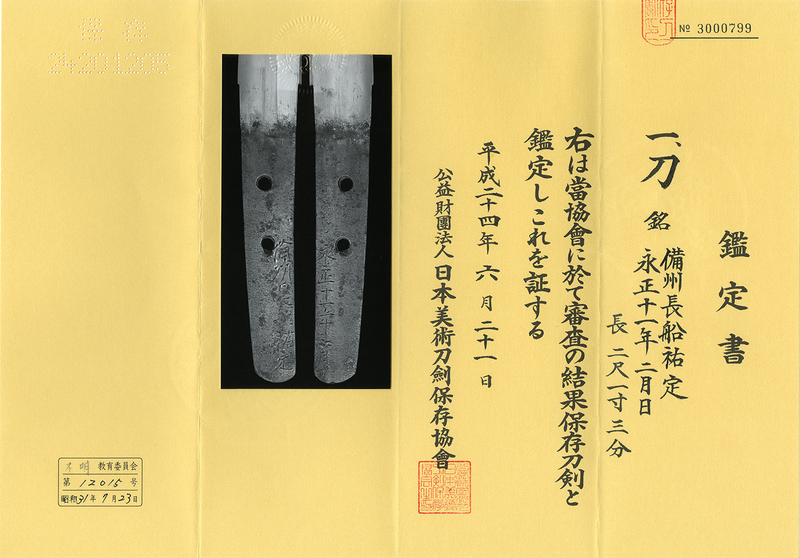 Width at the Kissaki : 1.72 cm or 0.67 inches. Kasane : 0.65 cm or 0.25 inches. Era : late Muromachi period. 50２ years ago. Jitetsu :Koitame had and mokume had mixed with jinie attach nice texture. On the Ji, Utsuri appear. Hamon : Konie deck gunome midair with ash and Yo work. 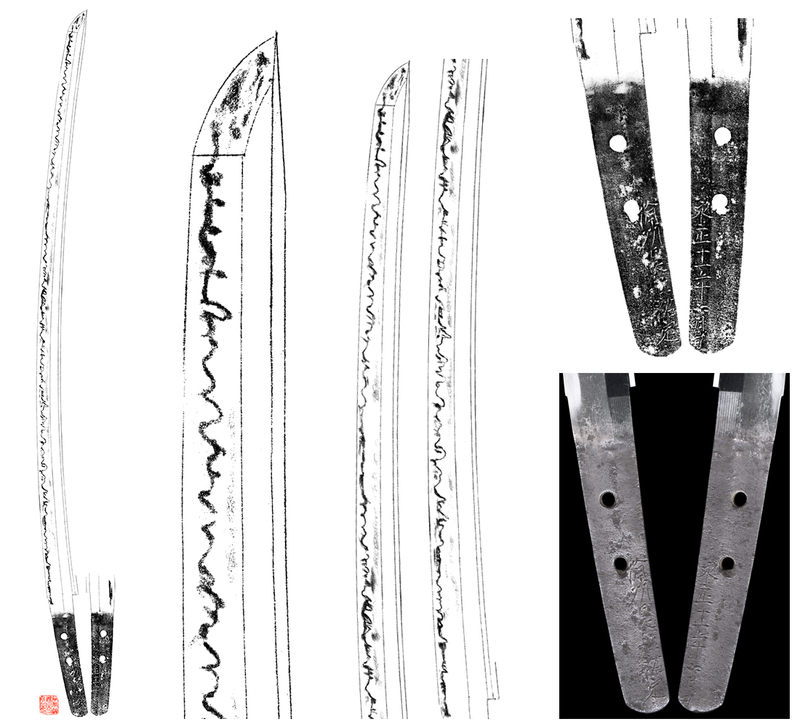 Special feature : Bizen Sukesada and Kiyomitsu both well known sword maker in Muromachi period. before which is called Kazuuchi mono. 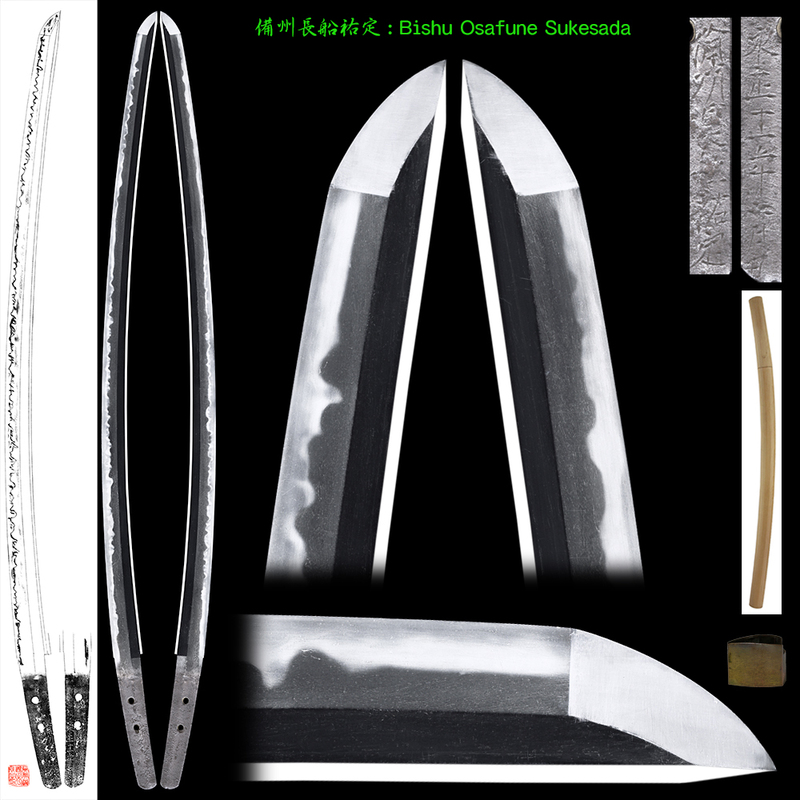 The blade is good Cyoji midair and gunome midair mixed and clear Utsuri very attractive sword. Aoi Art estimation paper : whole Oshigata. Copyright© Japanese Sword Online Museum	, 2019	All Rights Reserved.